Refreshingly easy donor management software that fully integrates with best-in-class fundraising pages—all supported with personal fundraising coaches. Since 2001, Network for Good has supported 125,000 nonprofits raise over $1.4 billion in donations. Work for Network for Good? Learning about Network for Good? 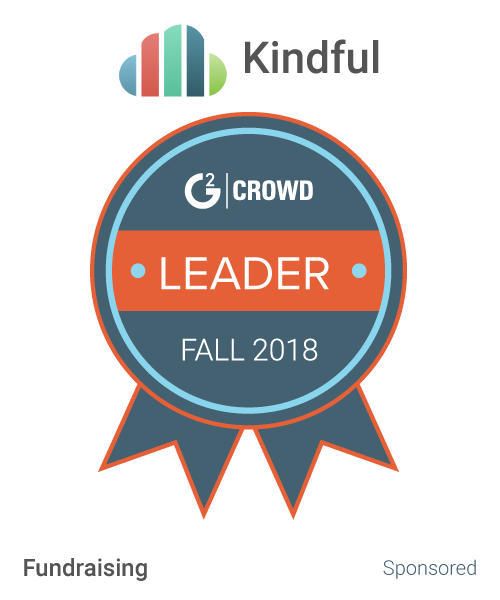 "Great entry level CRM for donor relations"
We chose this because of the personal coaching we are getting in our fundraising efforts. That is truly the best use of our money. I also like the simplicity of the interface, even though there is a learning curve. I know as a small nonprofit, we don't have whole days that we can devote to this process, but by spending 30-60 minutes in the system, getting things set up, etc. it's getting more intuitive. Event management is clunky for the somewhat complex events we do. Also, some of the basic things you would think would be just one button require multiple steps. For example, there is not a box to check to mark a donor as deceased or to set them as inactive so that they don't appear in current reports. It's a multi-step process for something that you'd think would be more automated. Tech support is not instant, but they are persistent in helping you do what you need to do. Also, I run a multi-arts Festival. That was not an option in the list of industries that I had to select. I'm dealing with a broad scope of supporters and interests. While I can fundraise through sheer force of will, it is not my area of expertise. Working with a fundraising coach has helped immensely! We now have a standard individual giving brochure that our board members are proud to share, a corporate case for support that paves the way for corporate sponsorship, and guidance about where to put my limited time and money for the best return. What I like best about Network for Good is that all the tools and data that we need to manage our giving programs are located in one place. The Dashboard provides us a real-time snapshot of our key analytics so we can be proactive to avoid revenue shortfalls or to maximize giving opportunities. There is very little to dislike about this fundraising management system. The email blast templates are very restricted, but there a large number of styles so it is very easy to find a template to fit our needs. Network for Good provides a comprehensive platform to manage all the aspects of our not-for-profit's giving, donor management, and donor communication systems. The dashboard gives you a real-time summary of your key analytics, active campaigns, current tasks, and recent activity. Network for Good makes it easy to load and update donor and prospect contact profiles. The Communication tab makes it easy to not only communicate with your audiences via multiple channels, it also allows you to target specific donor demographics. The ability to create campaign landing pages makes it easy to create a professional looking, and highly functional giving channels for specific giving campaigns. We are a faith-based, not-for-profit organization that is only a few years old. We addressing a great need in our community that requires a regular giving stream to fund our services. NfG helps us be professional in our fundraising without being professional fundraisers. "Efficient but limited donor campaigns"
Setting up a Network for Good page is relatively easy and painless. For small NPOs, this is particularly helpful. The platform is very limited and not flexible to accommodate specific needs for a given NPO. Furthermore, the sales video is a bit of a bait-and-switch: the promises in that video are for the premium package only, but that was not clear when my director of development watched it and signed up. 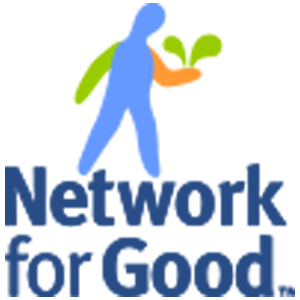 Network for Good is a great site for NPOs that have a straightforward donation system. In our case, we offer a whole lot of different programs, some of which require a low processing fee ($35-$50). While customer service assured us that we would be able to set up a second "campaign" to collect those fees, the template would not allow any changes, so people trying to pay the processing fees were confused by all the donation language. We tried it for a few months and decided to go back to Greater Giving for our processing fee system, which means we are running on two platforms. For our big annual fundraiser, we wanted to set up a temporary campaign (three months) to allow for those specific 4-6 figure donations, but we would have had to pay for an entire year of service for that page. This made the cost untenable. So, do your homework, ask a ton of questions. Network for Good may be the right fit for you! We opted for Network for Good to get a modern, stylish donation page that made it easy on donors and also easier for our very small staff to receive online donations. "Network for Good makes fundraising easy." Network for Good makes fundraising easy with their robust back end. The interface is clean and easy to use. I love the new editing tool for creating fundraising pages: so much easier than the previous versions! The pages are modern, cleaner, and easier to navigate than the older pages. Overall, the experience is much improved. Network for Good has excellent customer service. No matter when or how I contact them their support team gets back to me quickly and with a solution. The reporting feature on the new pages leaves some things to be desired. It is more difficult to search for a specific gift or donor, and the canned reports don't always provide what I need. Network for Good is my organization's main fundraising platform. We use it for any online donation that we solicit, including annual fund and special initiatives. The platform keeps the technical side of online fundraising simple so we can focus on the most important aspect: our donors. Also, were you able to attend our webinar in February about using filters and reports in the donor management system? You can find the recording in our help articles if you'd like to take a look. I think it might be helpful! "Great customer service and easy to use program"
I love the visuals it creates for me so I can use those visuals and reports with my boss and board members. I also appreciate that it's easy to segment into campaigns and designations and the email communication piece, which we use frequently for our e-newsletters. Our main problem is that when we receive money through Network for Good it comes into our account as "Network for Good" instead of being separated into specifics such as "donation" or "annual event," which makes it difficult for our accounting and development departments to be on the same page. Consider what your priorities are - for us, the ease of use and the integration of peer-to-peer, everyday giving, and events was extremely important to us so although the accounting problem is an issue, we just make sure development and accounting works together closely to make sure the numbers are accurate. It is also a newer program so they are constantly putting out updates and improvements. We've been able to better keep track of our donors and actually have reporting numbers to present to our donors and board. "Quality donor software, marketing tools could use an upgrade"
I've gotten a lot out of N4G's donor management system. It's good at identifying duplicates so we don't email the same people twice, and can track incoming donations easily and effectively. While the team is always upgrading their outbound marketing, I've found it a bit limiting to-date. If you use MailChimp, for example, you will find that MC's analytics and templates to be of higher grade. This platform is great for a small/medium non-profit. I think even larger non-profits might find value in it (I'm just not familiar with the higher tiers of service.) They have a fantastic support team and on-boarding was a breeze. We switched to this platform recently because of problems we were experiencing using another donor management platform. (The other one was way too hard to set up and included limited support.) So far, we have seen an increase in our online donations and found it easier to segregate our lists to send constituents targeted messages. "Easy system to use for donations"
I love the electronic report that details donations. I also love how simple to integrate into our website. It's easy to have the donor choose whether they donate the network for good fee or not. We also try to encourage this so that our organisation doesn't have to worry about it. I think either way, on smaller donations, 3% is a lot, but for larger ones, we encourage people to take care of that fee. I can't think of much I don't like except the mark up on each donation, 3% is quite a big chunk. The only other thing is the difficulty of using the site. We have a set few people who can operate it without help, but if you don't use it everyday, it can be challenging. I also think a more mobile version would be helpful with this. I would encourage your donors to pledge the network for good charge as well. It's a huge help. Other than that, if you need something that smoothly integrates into your system, Network for Good is the answer. Our donors can easily access the Network for Good donation site in various places on our website. The management of online donations has become a lot easier and more organized. It's also helps keep our systems clear for when our volunteer writes thank you letters. We transfer all the info into a folder, so it's easily printed, and our thank you letter writer can write personalized notes for each donor. The product is fantastic, they have literally thought of everything, but are still finding ways to grow their platform for their clients. But what REALLY makes Network for Good valuable is their TEAM. I don't know how they found such a compassionate, passionate, caring, hospitable group of people, but everyone I have spoken to; the salesman, the onboard team, the success team, the fundraising coach, & the support team have ALL been genuinely invested in the success of the program for our organization. These people are what makes Network for Good standout from any other platform available. I have found nothing about this program that I dislike. This will simplify EVERYTHING you do allowing you to focus on the mission of your organization. We have been able to bring all of our data into one platform, enabling us to track, outreach and fundraise on a scale we could only imagine before. I love the flexibility that Network for Good provides in their Donor Management system. It gives you the opportunity to set up campaigns and custom fields so you can track anything from a major capital campaign to a smaller online giving campaign. I wish there was more options in the reporting feature - specifically around soft credits. We don't have too many of those right now, but I can imagine if you had more if would make looking for them more difficult. Make sure you ask specific questions regarding campaign setup, integration capabilites, and reporting features you may need. We are working to be able to have long-term historical donor data. Our nonprofit was founded by a for profit business, so at this point we only have a few years of donor data and the rest was lost when we broke away from the for profit business to become our own 501(c)3. I love that I can look back at something from 3 years ago and see every note I made, or add new ones. We were able to streamline our previously chaotic donor records and house them all in one place. Fundraiser pages mesh/sync with the regular donor management section of the platform, saving time and effort. Occasional technical difficulties arise, but we are able to get very quick and capable support from Network for Good to address our issues. This revolutionized our donor management and fundraising processes as a small nonprofit organization. We have streamlined our previously chaotic donor records and now feel like we have an excellent sense of our donor base, our fundraising power and potential. Records are all housed in one place, allowing us to maintain an efficient donor management and fundraising process. "Fantastic database for non-profit organizations!" I love how easy the database is to use. It is very intuitive and tech support is readily available when we have questions. The dashboard and reminder features are very helpful in managing day-to-day fundraising tasks. The built-in email manager is fantastic; there are pre-set templates or you can easily create your own. The emails look great and we've had great open rates using the NFG email platform. It's a great system overall! Nothing at this time; we've enjoyed everything about Network For Good and don't have any changes to suggest. This is a very user-friendly, intuitive database. It is perfect for any size non-profit and will help you manage your donors and fundraising campaigns. Tech support is fantastic and will answer any questions you have quickly! Network for Good allows us to track our donors and campaigns in one system, which is a benefit to not only our organization, but our donors as well. The online donor pages are easy for donors to use and integrate seamlessly with our database. We also really enjoy the tips that Network for Good offers about fundraising and marketing our efforts. The email system is incredible; easy to use and it looks great! "Great donor managment/giving solution for a small non-profit"
I love that Network for Good sends all the receipts and keeps our donors organized. That's something that was a major task for us in the past. The support with webinars and emails is awesome as well. And I feel like I have a team behind me that is always checking in to be sure I have all I need to be successful. I haven't found anything that I dislike about Network for Good. The only thing that could make it better is if it was free! Network for Good is a great partner for a small non-profit. It is much more economical than having an accountant handle all giving and donor management. I feel like I have a whole team helping me with donor management, crowd funding, general donations, fundraising in general and admin activities. I like that certain of the webinars are repeated weekly so I can attend more than once if I forget things. Definitely worth the investment! Management of our giving and donors is the biggest problem that it's solved for us. I love that I can click a button and prepare an acknowledgement letter or email. I also get a lot out of the webinars. We've been in business for 12 years but I still learn things from every one I attend. We are a non-profit ranch that works with veterans and first responders. There are so many parts to what we do; it's great to be able to not have to worry about donor management! "Excellent, Inexpensive, Basic CRM "
I like how easy it is to set up your personalized donation page. The tips that they provide as you walk through each step in addition to the ease of implementing organization specific branding is just excellent. I also really appreciate all of the free webinars and training that is provided even with the most basic paid membership. I feel like my organization got more than its money's worth out of this product. Honestly, I like almost everything about Network For Good. If I had to pick a negative, I would have to say that I don't like that there are so few customization options for branding the donation landing page. It would be nice if it could be customized just a bit further to really fit seamlessly into an organization's website. Before Network For Good there were very few donor database options available for small organizations that just can't afford the price tag of a product like Raiser's Edge. NFG fills that gap. My organization was able to use this to really upgrade our donation widget and landing page on our website and to begin to track donations more effectively over time. It also really eased up the backend workload of distributing tax exempt letters for every donation, because it was automated through their system. For a smaller non-profit, I cannot recommend NFG highly enough. "Good starter to collect online donations"
Network for Good was the product we used to first collect online donations. I liked that it was a charity in itself. I liked that it allowed for the donor to pay the processing fee. I disliked that it took a month or longer for our charity to receive the funds. I dislike that a donor has to create a login and password in order to make a donation. The transaction fee is a bit high compared to other competitors. We needed a platform to collect online donations and this product allowed us to do that. Our online donations increased because we had the option for donors to donate at our website. "A welcome change from Salesforce!" This system is easy to use with a clean, intuitive interface. Their technical support is very responsive and thorough both via chat and telephone. So far the system is doing everything we need. Donor and event management are a must for any size non-profit. Network for Good is the best package for all aspects of our development functions that we have found. As a non-profit, managing our donors and events is critical to success. Network for Good allows us to easily create the reports we need and communicate with our constituents. "One stop shop for non-profits"
Network for Good is a great tool for non-profits because it has everything you need. Donor management, email blasts and text messages, campaign and event pages, etc. all in one service that is user-friendly. In our transition to Network for Good from Salesforce, Network for Good was supposed to review our donor list for the deceased and bad addresses. With our first direct mail campaign, we received at least 200 back for incomplete addresses, incorrect zip codes, or because the addressed was deceased. It saves us time and money by being able to do a lot of our development tasks in one software program. Instead of paying for a donor management system AND a system to manage donations AND a communications system, we do it all in one. "Network for Good? NO! Network for Great!" I like how easy the interface is to navigate, very user friendly. Customer service and easy to use templates. Nothing at present stands out, but it does take a bit to educate one's self. This system is very easy to use and takes little training because so much is self-explanatory. The customer service is fantastic, too. Always responds with answers and if you need more they do they research to find your answers. Helps me target donors based on past giving, potential giving, and involvement with organization. Benefit is the time saved using NFG. Network for Good is easy to use in that it's simple and get's the basics needed done. Network for Good is lagging behind in terms of text-to-give, user interface, making it simple to donate and fitting into an already created organization's website. Network for Good is lagging, especially when it comes to the services offered for the price, and it would be helpful if the capabilities could be implemented directly into the website and incorporated text to give. Network for Good was used for fundraising and donor management. However, having it redirect to a different URL from our website made it difficult to fully use all the technology and capabilities available and didn't integrate well for our needs. I’m sorry that Network for Good’s fundraising pages did not meet your expectations for online fundraising. I took a look at your organization’s history with Network for Good and I see that your organization did not purchase the donor management system from us. Your organization had a subscription to our older DonateNow fundraising pages as well as our Peer-to-Peer fundraising platform. We do offer text to give, mass text messaging, and a text to pledge feature but they are all a part of our communication platform which is inside the donor management system. Because of the product package you had, you did not have access to the texting tools. I apologize that we did not identify your organization as a customer that would have seen value in the donor management system so you could have tried out these texting tools! This website make it very simple and easy to use. I've encountered several similar websites that are too overwhelming, however this website is not at all! I've sometimes run into the problem where there is not enough information is provided by the donor which makes it difficult for me to log properly. I would recommend making it a requirement that all donors need to provide their full information so whoever is recording the gift can have all of the necessary information. I really enjoy how you can run gift reports straight from their website and that they export is a clear format. "Network For Good is the way to go!" I LOVE their customer service and how user friendly the donor management and fundraising pages are! Honestly, I have not had any issues in my about 10 months of using Network for Good. I noticed duplicate payments once and I called and they fixed it right away. I haven't used the filters much but I love the automatic emails that tell me who has donated, what amount, and provides details of donors in a given month. "Network for Good, good for non profits"
It is an easy and straightforward program and great for the small non profit that can't invest a lot into donor software. "May fill your needs-certainly worth looking at seriously"
They work hard at being responsive to non-profits especialy medium to smaller ones. While no system is going to be perfectly adaptable to every organization (not even custom systems fall short in some respect), they do try to make this work as much as possible for every possible situation that they can. The effort is commendable. The cost was just a bit more than our organization could come up with even if the software was successful in bringing in more funds. Our board couldn't envision the ROI as being successful for us. Evaluate 3-4 before settling on anything-it's not that this is a bad deal because it certainly isn't. It's just that you need to be right with your decision. It wasn't right for us-but it could be ideal for you. This is not applicable for us as we went in a different direction. NFG is a great system to actively get involved and reach out to the donors. There are multiple different ways to engage them. Also the staff support is quick and efficient whenever their is an issue or misunderstanding. When there are similar profile the informal and formal greetings are linked between the profiles. It would be nice to have an option to select whether this is ok or not. Changes are necessary for growth. Do not lose heart, keep trying. Donor's need more engagement and acknowledgement. We are looking forward to using the person to person fundraising pages. "Great customer service with Network for Good"
The customer service experience- phenomenal. We find the head of household label awkward. If you are looking for a system that can provide reporting features about your contributions, has CRM and task calendaring features, can help with event ticketing and peer-to-peer fundraising as well as web-based contributions AND is intuitive to use and does not require rigorous ongoing training for your entire team - this may be a great fit for your organization. We have been very pleased with our customer service experience, and NFG offers a range of webinars and technical assistance offerings. Network for Good allows us to create simple, easy reports about our fundraising efforts. We can now easily track our fundraising efforts,, monitor annual progress and retention, and provide donors with a simple, elegant experience when they use the system to make a contribution. I find pulling reports and donation tracking to be very easy. Payment is timely on the 15th of each month. Fees are reasonable. Customer support is responsive. I also like their blog/webinars. I don't dislike anything, but I also don't use NFG as our main fundraising page. I mostly interact with them via facebook donations and corporation donations that use NFG, but my experience has been good. We use them as an alternate donation processing option for donations made outside our online donation page (we use Bloomerang for donations) and I use their webinars and blog for professional development. "A great tool for 3rd party fundraising"
I like that our supporters can set up a fundraiser on Facebook and the funds will be sent to us monthly. No hassle, no paperwork, no cold calling, it is fantastic! Network for Good's customer service is quick and easy to understand if and when you have any issues. More details without having to pay a large monthly fee. If you have not utilized this service you are missing out. We are able to get the name of our organization out there. The ease of the website as well as the availability of someone via chat if I have any questions regarding a task. I also love that letters and email blasts are easily saved for future use. The only thing I am not keen on is the removal of duplicates. The system is great about identifying them, but the process is a bit time consuming to go through all of them after an import of contacts. We are able to track donations and use it for campaign management. So far, Network For Good has been a great tool. "Intuitive, Comprehensive Platform Designed for Not-for-Profit Sector"
It's a one and done tool that speaks nonprofit. CRM, donor management, peer-to-peer, events, eblast, online donations, and relevant, prompt technical support and resources all in one product that understands the needs of nonprofits. It's a little clunky to link individual contacts with the organization they represent. Also, somewhat cumbersome to enter records for two or more people in the same household in a way that avoids duplicate communications when mail merging for print or electronic communication, campaigns. Integrated tracking of campaigns, donations, and metrics. Rapid donor acknowledgements and communication. We switched to Network for Good because we needed to integrate our donor management and fundraising efforts into one place. The platform has been extremely easy to use and we are starting to feel more organized and efficient. The staff is extremely helpful and supportive! So far, we are very satisfied with the service. Do the demo with a representative. They are very good at explaining features and answering questions that are specific to your organization. The fundraising campaign options have helped share our message and work toward our fundraising goals. I really like the ability to sell event tickets and then track the process through the site. It would be nice to have the ability to be able to add check boxes in records that I can then pull a report showing all records in which this box has been checked. Keeping better track of donations and ticket sales. Also a better form of tracking members, we were previously using a spreadsheet. "Great Fundraising & Payment Processor"
We work with Network for Good as a funding disbursement partner for crowd-funding and other online fundraising campaigns. They also process matching donations from contributions made through some of our donors' employee matching programs. They are always make payments to our organization in a timely fashion, and provide full access to individual donor profiles so we can efficiently maintain our donor records. We don't have an identified portfolio or sales manager, so there isn't a great personal relationship between our organizations. But as I said before, they get the job done and are responsive if we have questions or need user support. Great product and easy to use in tandem with our CRMs. Through Network for Good we're able to tap into an important online fundraising sector with minimal effort/resources from our small fundraising team. Through their reporting tools, we're able to use this resource in addition to our donor database, and can easily migrate donor records and maintain strong accountability with our supporters. "This software is the best"
As Development Director for a nonprofit, it is imperative that I stay in front of my donors at all times. Network for Good sends me prompts as reminders to communicate with my donors. They send me ideas to make communication meaningful and their reports are top notch. I really can't say. Perhaps they could improve on their event management reports but other than that I am pleased. Communication scheduling. Lapsed donor tracking. Donation trends. "Well thought out suite of programs that are interconnected. Still needs some sophistication." The fact that it is interconnected and things are linked so it saves work and making typing mistakes. It links some things automatically that should not be linked. Users should be able to make the "linking" decisions. It is a very good product. It still need some work for more sophisticated users, but it is very well thought out and integrated. On-line giving is automatically entered into the "donor management" database. "NFG has provided us with a more streamlined donor database sytems saving us valuable time." Event and campaign pages. It is frustrating not being able to add specific fields to our form to collect specific data. Also would like more flexibility when creating campaign pages (ie, color schemes and pictures). Highly recommend for donor management. If you want a robust event management program as well, NFG isn't for you. Online giving and a cleaner, more streamlined donor database. Easy tracking, reports pull quickly, interface is easy once you get the hang of it. Difficult for customers to navigate. Takes a little hand holding to get our donors through it. It's a fair software. Seems to work well although it's the primary pledge software I've worked with. Enables us to process monthly pledges at a discounted rate from processing them through our CRM. "Network for Good: We Switched"
It might be a good place for a non-profit to start from, but we outgrew it. It had a very old feeling to it. It didn't have as many features as the competitors, and we just couldn't continue paying for a service that was so limited and clunky. Look at your other options first. We ended up switching to Neon CRM, because it offered more modern features and services. We were using it only for donation management. "Great advice, easy to use"
Network for Good provides instant and helpful feedback. They always follow up and are willing to work with individualized timing schedules. Reviewing duplicate contacts is annoying. Great software and support, but be sure that your nonprofit is ready for the next step, because it is a significant financial commitment. It's great to be able to manage our donors, track funding, send mass emails, and receive super helpful advice from Network for Good. I don't imagine we would have had the tools and motivation to publish a #GivingTuesday campaign without their help. "Great update for our nonprofit"
Ease of use, especially with exporting reports. The event pages don't allow for custom questions and ticketing that I require. Attend a webinar and try it for yourself. It's very user friendly and a solid donor management system. Being able to export data much easier and quicker than before. "Modern Interface and Set up"
The design is very modern and clean. They have a great set up process that is user friendly. The fees are a little high. I would like to see an option for donors to give through their checking account for a lower fee since there isn't a credit card fee for those transactions. It will add a professional touch to your donation page. "There are better platforms out there!" We have transitioned away from using the N4G platform because it is not as donor friendly. However, it does track all of the necessary stats. Not as donor/user friendly as we would like it to be. It is an online donation platform for our fundraisers. "Simple and Clean Platform with Outstanding Customer Service"
The resource library and live chat box makes the platform easy to navigate without any issues! No issues so far, although I am still relatively new to the system. Very user-friendly software and top-notch customer service! I am tracking and analyzing the financial donations that come into our organization - Network for Good has facilitated this process in a streamlined way. The email system is finally taking off. Creating labels is beyond difficult. Direct mail is used on a daily basis for most nonprofits no idea why this hasn't been improved. Give them a shot. Nothing like what they were a year ago. So expect constant improvements. Understanding our viewers. Knowing them based on past conversations and data we have. Some of the pages can be a little long and clunky but it’s not necessarily difficult to navigate. Great product and user friendly. The ability to let organizations submit requests to companies for giving and donations. "I know we get donations from here"
It must be connected to some social network or some funding platform that Network for Good then sends over to us. I liked the ability to receive donations through another platform - increasing our opportunities for donations. Sometimes the website felt a little hard to use - could maybe be updated. It's a good option to expand on the ways people can donate to your organization. I'd recommend using it! Efficiency, collecting information, making it easy for people to donate. * We monitor all Network for Good reviews to prevent fraudulent reviews and keep review quality high. We do not post reviews by company employees or direct competitors. Validated reviews require the user to submit a screenshot of the product containing their user ID, in order to verify a user is an actual user of the product. Hi there! Are you looking to implement a solution like Network for Good?